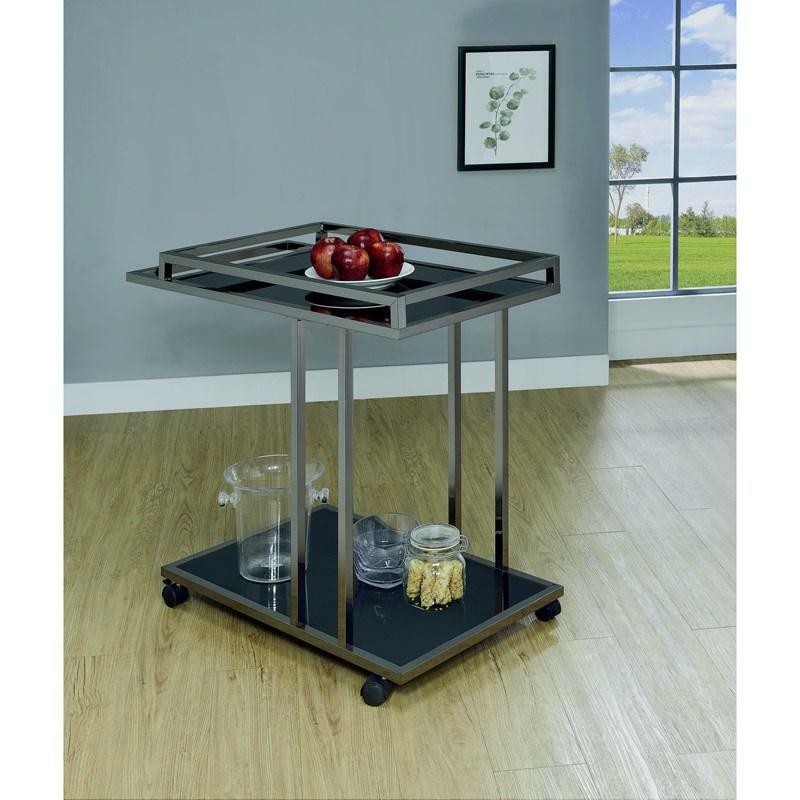 A crisp, modern look and elegant coloring make this serving cart a stylish addition to your home. 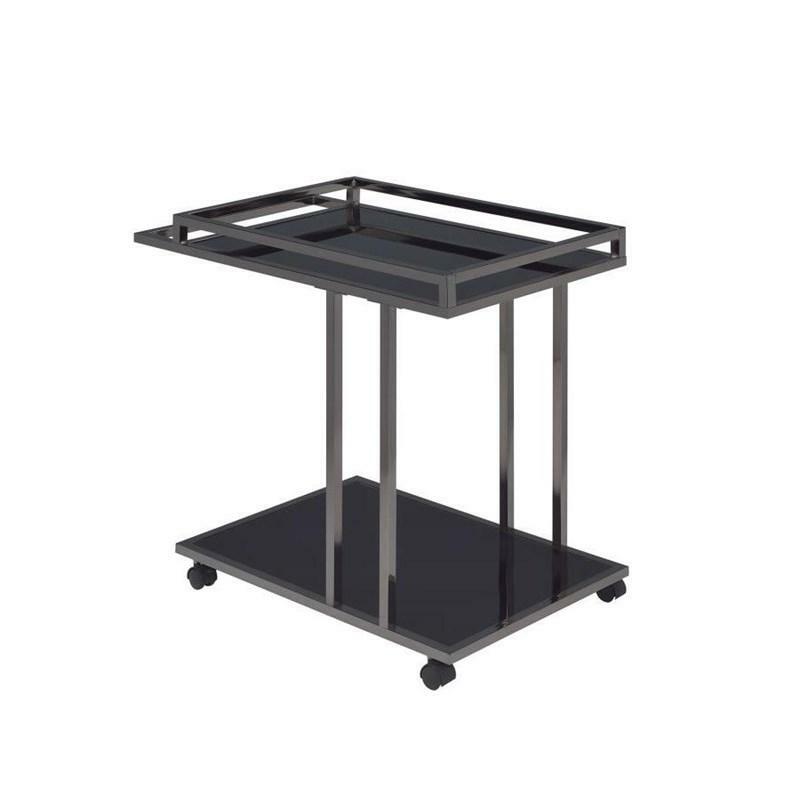 A sophisticated blend of metal and glass bring this piece to life, melding a steel frame finished in black nickel and black tempered glass shelves. Casters on the legs give great mobility to the piece and add to the overall functionality. Volume 2.23 cu. ft. / 0.06 cu. m.